The revival of the much loved Sailor Moon has so far taken quite an unusual path. 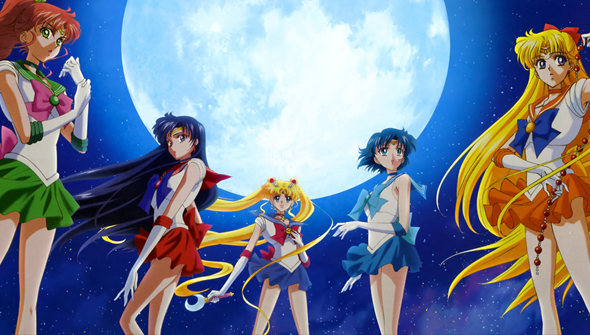 Sailor Moon Crystal made its debut streaming online without airing on TV in first. Although this is becoming more common worldwide, in Japan it's much less so with many distributors in the country still frustratingly tied to old, outdated models of distribution. Crystal's airing was doubly unusual in that it released episode once very two weeks, with the original run due to last for one year. With that series now concluded, the show has subsequently aired on Japanese TV as two separate "seasons". While the future fate of the show had been unknown, it's now been confirmed that Crystal will return for a "third" (or second, depending on how you're counting) season. The new season will adapt the "Death Busters" arc, and will feature all 10 Sailor Senshis for the first time in the new show. Sailor Moon Crystal has been licensed for release in North America by Viz Media and will be released on DVD and Blu-ray some time in future. The Official Sailor Moon site is also teasing an additional mystery project. What this could be is anybody's guess but it could be a new movie, spin-off, manga or something completely different. Even another live action TV series perhaps! More details on both the new season, and this mysterious new creation are set to be revealed at a future date.